Blind ability see sun coverage is sponsored by Be My Eyes. Be My Eyes is a free app that connects blind and low-vision people with sighted volunteers and company representatives for visual assistance through a live video call. Our very own, yes, we will claim him, Brian Fischler, attended the CSUN Conference in Anaheim, California. This Assistive Technology Conference is huge, Brian boarded his plane and headed West from New York and got quite the experience at the conference. 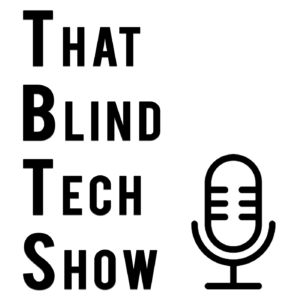 Join Brian along with Jeff Thompson from Blind Abilities as Brian shares his preparation plan, his feedback from the sessions he attended and all about the exhibits. Brian knows what he will do differently next year and gives us a great perspective being that this was his first CSUN conference. And yes, he said he would do it again. Be sure to check out all the #CSUNATC19 coverage.